With over 30 years of experience, Catherine knows that a family involved with the Marital and Family Law Court system is facing difficult and heart wrenching challenges, especially when the best interests of children and financial security are threatened. Catherine has a long-standing reputation for handling each case with the utmost professionalism and compassion, being thorough, and for devoting the time each client needs to help them understand and maneuver through the intricacies of the Family Law system, in as cost effective a manner as possible. Clients who retain Catherine receive the benefit of having an experienced and compassionate Attorney, who is also a Florida Supreme Court Certified Family Law Mediator, a Certified Guardian Ad Litem for Children, and a Collaborative Family Law Professional. Catherine's thirty-three years of experience gives each Client the best opportunity to efficiently resolve the case without litigating, and to have a secure financial future. 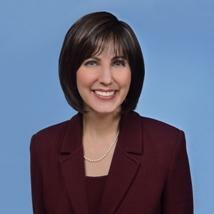 Catherine is an experienced and compassionate attorney in Family Law matters. So, when it needs to be thorough, it needs to be right, and when professionalism matters, call Catherine.